Manila Philippines,— With the holiday season just weeks away, the hunt for the best presents has officially begun. As a leading Hollywood actress, mother, daughter and general all-round inspiration, Gal Gadot ensures she takes the time to get her family and friends the best gifts for the holiday season. This year, she is providing an insight into the gifts that will be in her shopping bag this year. Take a look at Gal’s gift ideas below for some inspiration for the loved ones in your life this holiday season! 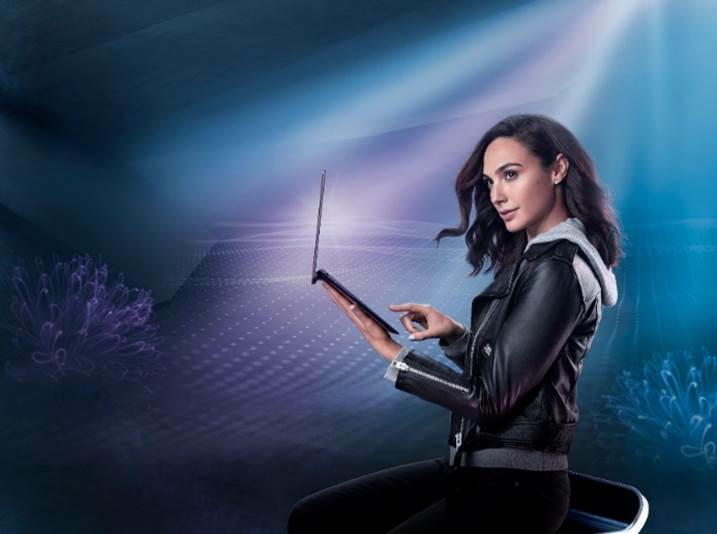 Check out how Gadot uses ScreenPad to show what technology can help create. “She is one of my greatest inspirations and has so many quotes that I relate to and use throughout my life in times of sadness, stress or just those times when you need some inspiration! This makes it a great gift for my closest friend who can have the quotes to hand at all times and whenever she needs the inspiration to get her through anything”. Check out how Gadot talks about her dream laptop that can make chocolate. The Burgundy Red color gives ZenBook S a beautifully modern vibe. ZenBook S is the perfect gift for inspiring passionate users who want to bring their creativity to life. “My mum loves capturing the most treasured family moments on camera and this year I’m planning to treat her to an upgrade to ensure she can continue to take these beautiful photos. I will also get her a big photo album, so in the future we can go through it together and reminisce – there’s nothing better!